Riddled with mind-bending illustrations, The Hand of the Pit, by writer and illustrator Todd James, is a new, 2nd level adventure for Torchbearer. You can download a PDF of the adventure for just $5! 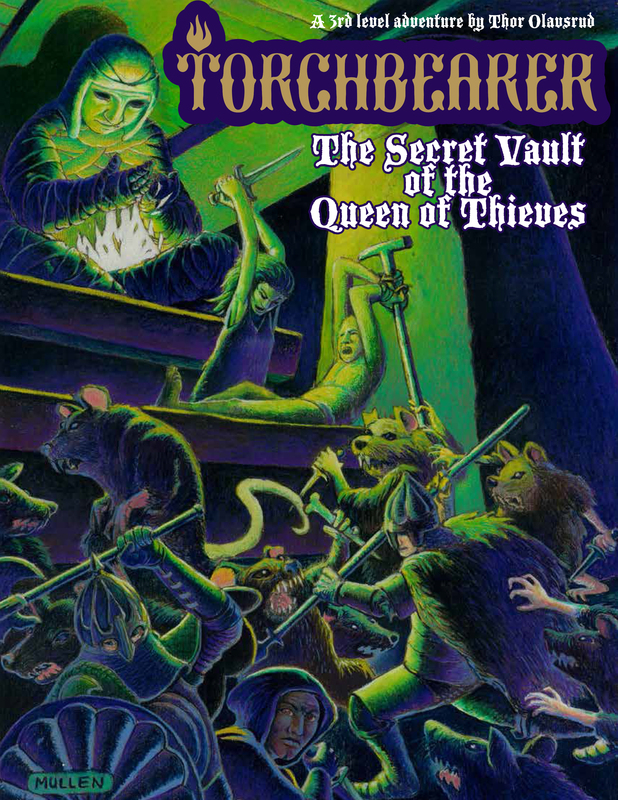 New Torchbearer scenario now available: The Secret Vault of the Queen of Thieves! 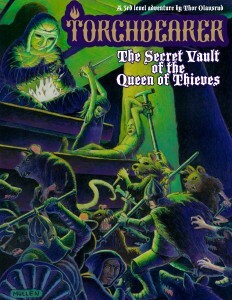 The Secret Vault of the Queen of Thieves – a 3rd level, city-based adventure scenario for Torchbearer RPG by Thor Olavsrud is now available via the Burning Store in pdf format, featuring cover art by Peter Mullen, interior art by Todd James and cartography by Dyson Logos! This first “official” Torchbearer scenario since The Dread Crypt of Skogenby features fiendish traps, a new monster, a new town for adventurers to hail from and two new town locations – the Docks and the Thieves’ Guild! All Hail Our Bardic Champion, Winner of the Torchbearer Adventure Pitch Contest! Hand of the Pit by Todd James! There were a lot of really great submissions, and choosing just one was most challenging! Honorable mention goes to Jim Morris’s Mausoleum of the Moderate Monk and Paul Jennings’ A Rising Tide. Many thanks to all you bards out there who took the time to create such epic adventures and submit it! Twas a pleasure and an honor to read them all. The fine folks at DDE Adventures have released their first Torchbearer adventure under the Torchbearer Sagas license. You can Pay What You Want for the PDF over at DriveThruRPG. 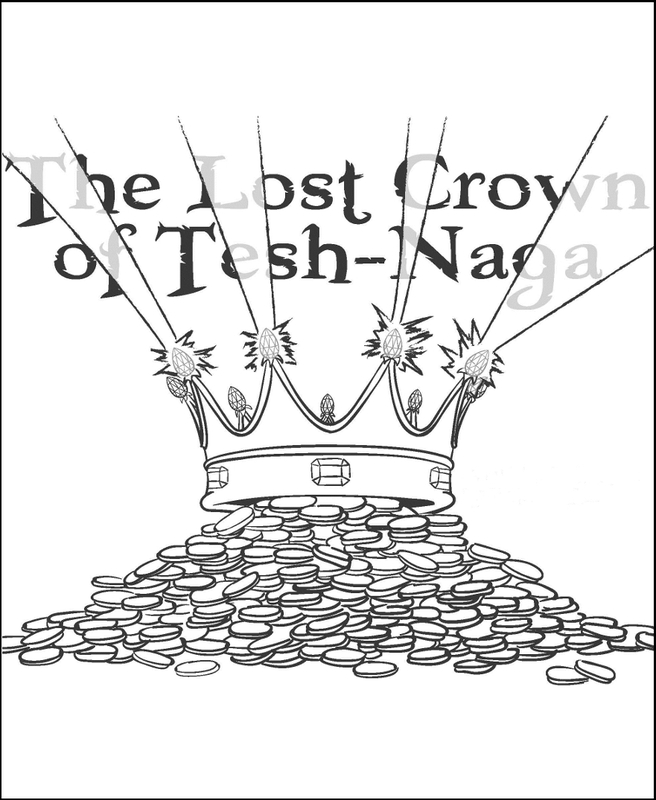 The Lost Crown of Tesh-Naga is a mid-level adventure for the Torchbearer roleplaying game. 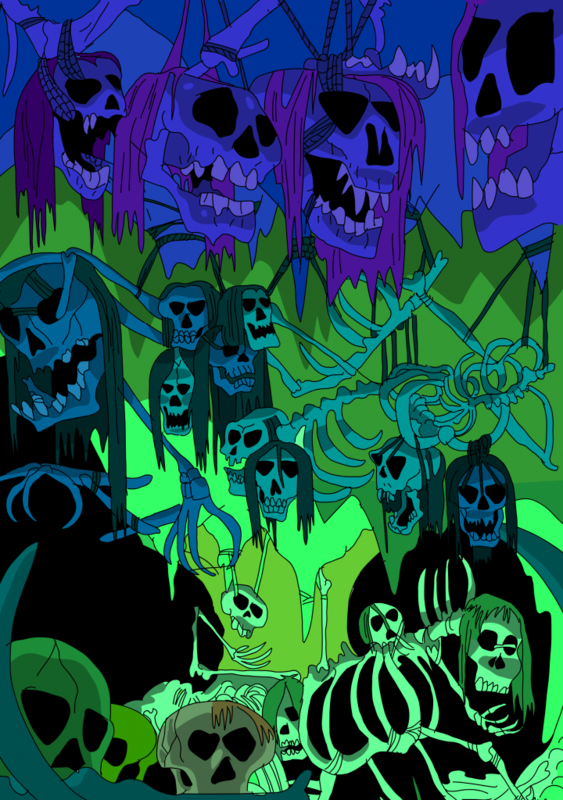 Travel to an ancient dungeon, once used by Hobgoblin paladins as a focal point for their divine communion with TIAMAT. Claim a powerful artifact forged during the height of the empire’s power. Fight with the feuding descendants of the paladins, their rebellious goblin and ogre slaves, raiding Dark Elves, and trapped corruption demons. Evade the insidious traps left behind by the architects of this unforgiving dungeon.